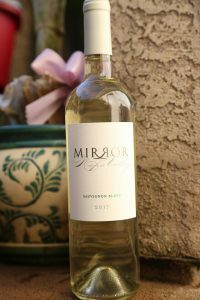 Mirror Wine Co began as a partnership with Notre Dame football star and 12 year NFL veteran, Rick Mirror and long time Napa wine veteran winemaker Rob Lawson. Rick’s time in the Napa Valley a number of years ago was somewhat different than what most people experience when visiting the valley for the first time. Rick was the man behind the football at Napa Valley College for the NFL’s Oakland Raiders during their football training camp. It was during this time and subsequent visits that Rick fell in love with the Napa Valley. He has enjoyed fine wines for a number of years and continues to collect wines from around the world. While not making the wines himself he is certainly not a hands off owner as he is involved in the blending decisions and often makes trips up to Napa from San Diego for events and for other critical wine making decisions. We caught up with Rick recently at his office in St. Helena and from our discussion it is clear that he has a genuine passion for wine and is a subject he truly enjoys talking about. During one visit up valley a number of years ago he stopped in at Tra Vigne Restaurant in St. Helena back when Karen Williams and David Stevens were working here (this restaurant has since closed). Today Karen and David run two of Napa’s most respected boutique wine shops (Karen, Acme Fine Wines, and David, 750 wines – both based in St. Helena). Rick struck up a conversation and got to know both David and Karen; he remembers trying a 1998 Hourglass Cabernet Sauvignon and being blown away by the quality and intensity of the wine. With his football career behind him this was the perfect time to get into the wine industry. After his initial experience with the Hourglass wine he later struck up a friendship with owner Jeff Smith and Jeff introduced Rick to long time Napa winemaker Rob Lawson at Napa Wine Co. Rob is 3rd generation in the wine business; his father was Vice President of Marketing at Robert Mondavi Winery and his grandfather was the President of Beringer. Rob has been CEO of the Napa Wine Co and has made or helped make a number of what are today established and well respected brands. Along with his own label Pavi, and wine for a number of other producers, Rob produced the Mirror wines at Napa Wine Co for a number of years. In 2017, Kirk Venge joined the team as the winemaker – and as of our last update, the wines are made at the state of the art customer crush winery, Eleven Eleven just north of the Napa city limits. When deciding upon a name for the wine, one that made sense was clearly Rick’s last name. Also, mirror means “a true representation” as in a true representation of their vineyard sources. 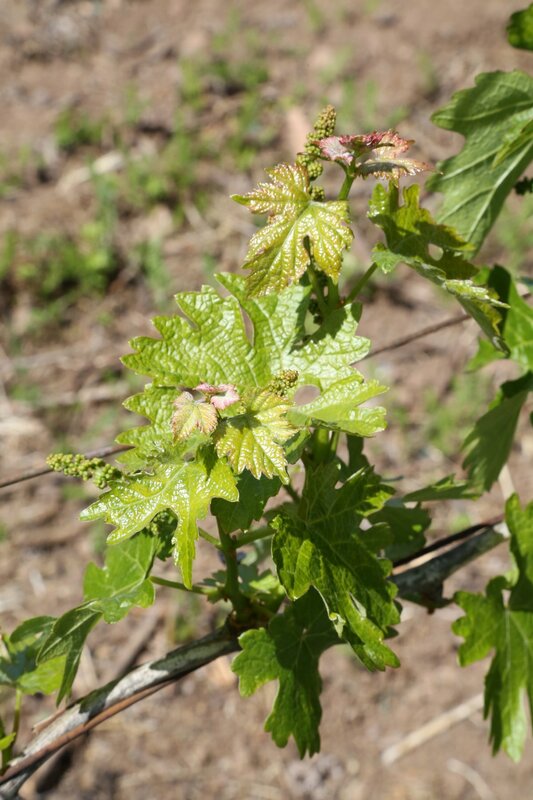 With Rob’s background in the valley introduced Rick to a number of premium sites – which Kirk continues to use as well as offer his own vineyard contacts to the project. 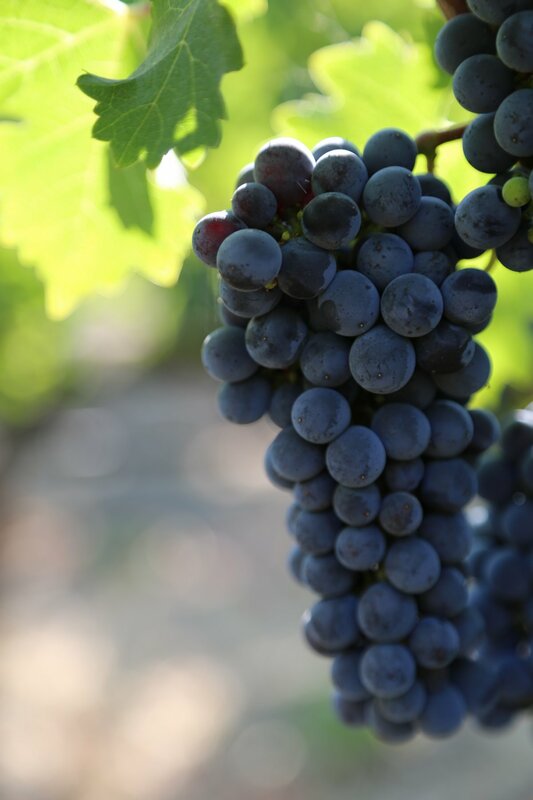 The same vineyards have been used in all their vintages which include Cabernet Sauvignon from two vineyards in St. Helena and one in Oakville (incidentally two of Rick’s favorite appellations in the valley) and their Malbec comes from a vineyard between St. Helena and Calistoga. When Rob was making the wines, he would often blend in small amounts of Malbec – a varietal that he became very familiar with over the years due mainly to a winery project in Mendoza Argentina, the heart of Malbec country in South America. 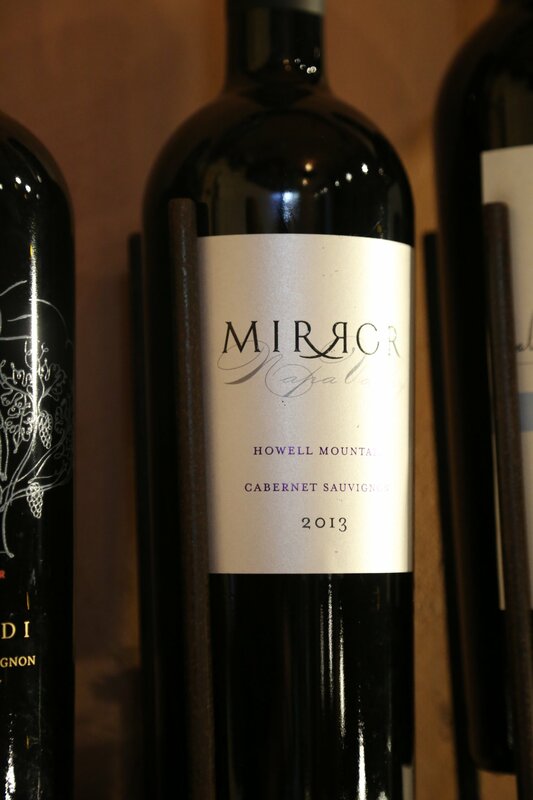 The 2005 Mirror Cabernet Sauvignon vintage is blended slightly with 3% Malbec. This is a wine that will certainly appeal to a wide variety of palates. Rick does not enjoy a wine that is overly oaked and his wines are definitely not crafted in that style. As a result his wines are expressive of the fruit rather than the wine making aging techniques. The 2005 vintage saw 50% new French Oak and 50% neutral. This wine is rather dark in the glass; the initial aromas are quite elegant. The bouquet shows red and black cherry with nice notes of cocoa complementing rather than dominating. The mouth feel is soft and supple upon entry showing fruit flavors that tend to be on the darker side (blackberry) with cocoa, hints of vanilla and notes of cigar paper towards the finish. The finish is smooth with round delicate tannins and super long. It is always nice when we find a wine that fits our palate like a glove and this wine certainly does that. Rick prefers to give his wines a bit more age before releasing them rather than driving them to market after a previous vintage sells out. As of our latest update to this review they were sold out of the 2005 and released the 2006 in early 2010. Their wine portfolio has expanded since the early years; today in addition to the Cabernet Sauvignon, they also produce Sauvignon Blanc and a Petit Verdot. Their total production to date is around 1000 cases and they are well-distributed in parts of San Diego (Rick’s current hometown) including at La Costa Wine Shop in Carlsbad, north County, Chicago as well as can be found locally at a wide variety of locations including ACME Wine Shop in St. Helena. The 2017 Mirror Sauvignon Blanc was sourced from the Beckstoffer Melrose Vineyard in Rutherford. 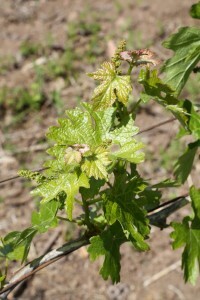 Contemporary Rutherford is mostly known for its red wines, especially the Cabernet Sauvignon from this sub appellation, but if there was a white wine associated with Rutherford, it would be Sauvignon Blanc. Pale straw yellow, offers a lovely and lively bouquet showing a pretty play between floral and tropical notes with aromas of citrus blossom, jasmine, nectarine and apricot. Plenty of aromatic intrigue to look forward to the first sip. On the palate the texture is rounded and supple – soft but immediately noticeable is the intensity of fruit – lime and white pineapple. Offers more citrus flavor then tropical on the palate. Rick also runs the Mirror Family Foundation (a non profit established in 1996) with a focus on helping children in regards to health and education. The foundation has been supportive of a number of organizations over the years including The United Way and Boys and Girls Clubs. Tied in somewhat with Mirror Wines, their wines have been used in a number of outreach and tasting events.